Forget the perfect crime. We just want the perfect crime stories – and here they are. Nine top-class mysteries from Deepdean School! Rejoice! As you know, Daisy Wells and Hazel Wong have a knack for solving wicked crimes. But what about the ones that are still just snippets and jottings in Hazel’s secret casebook? Like the macabre case of the Deepdean Vampire, or the baffling case of the Blue Violet. Even the case of Lavinia’s Missing Tie. (You thought it was a joke. It wasn’t.) 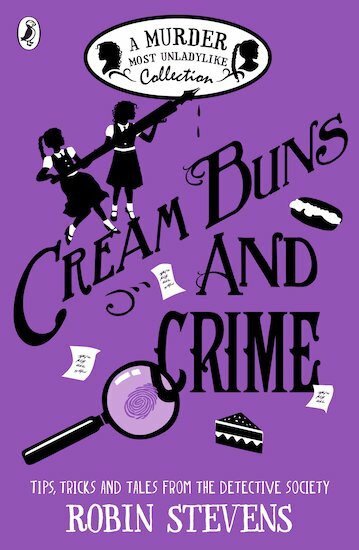 Crammed with witty mini-mysteries, detective tips and two new stories, this luscious book is the cream bun of crime fiction. Curl up, tuck in, enjoy.